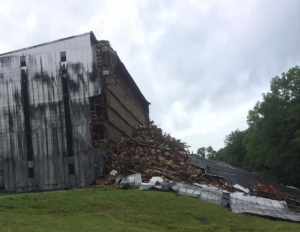 A Barton 1792 Warehouse 30 collapsed today at the Barton 1792 Distillery in Bardstown, Ky. Bardstown is home to a few distilleries including Heaven Hill and Willett. The building collapsed around 11 a.m. Friday, 6/22/18. Roughly 9,000 bourbon barrels were aging in the rickhouse and they are uncertain as to how many have been damaged due to the incident. The building appears to have split down the middle, which leads us to believe nearly 5,000 barrels were displaced during the the Barton 1792 Warehouse 30 incident. For those familiar with the Heaven Hill fire, the Buffalo Trace tornado and their impact on the desire for those bottles, it’s possible that this could be a blessing in disguise. Though nobody loves the idea of extra work, we can certainly see their marketing team coming up with something brilliant for the barrels that fell as well as the remaining barrels still standing. Being that the Barton 1792 warehouse 30 sits on a slope, some of the barrels rolled down it toward a small tributary of the Beech Fork River. It’s possible that the whiskey could make its way into the river which sounds better as a dream than in reality. Barton 1792 has been growing in popularity in the last couple years. Their Small Batch is their staple and standard release, and have also released a handful of special editions including Sweet Wheat, High Rye, Port Finish, Single Barrel, Full Proof, and Bottled in Bond. Barton 1792 Warehouse 30 Collapse Bottle doesn’t quite have the same ring as “Pre-fire Heaven Hill” or “EHT Tornado” so they may need some help. What will the name of special release be? What is your best guess on how many barrels were displaced during the incident? 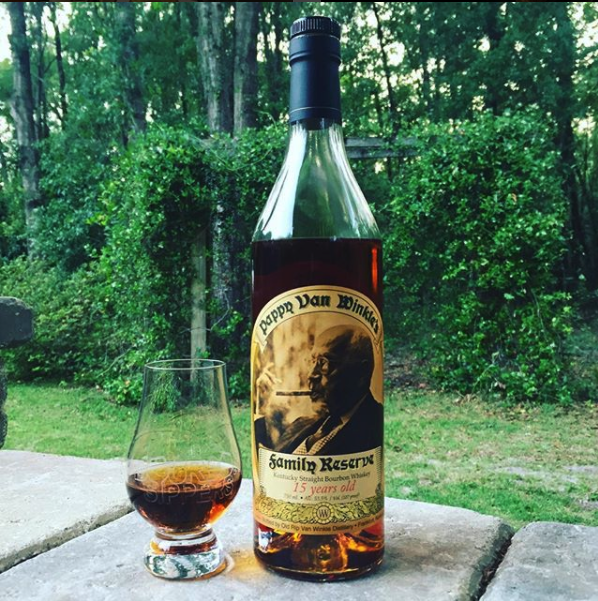 Join the conversation in our Bourbon Sippers Facebook group now and see more bourbon news and reviews in Slurred Speech!